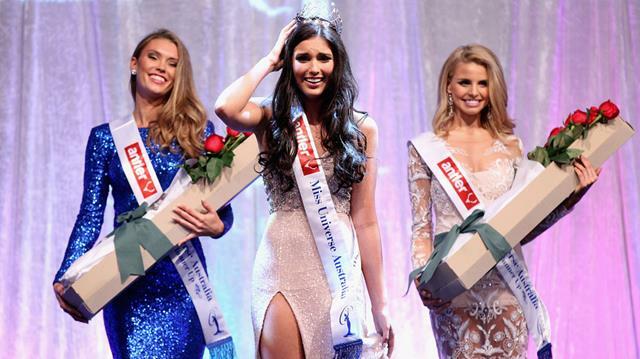 The new Miss Universe Australia 2013 is Olivia Wells, a 19-year-old medical student from Melbourne who was crowned July 12th. She was one of the finalists from the state of Victoria. Wells, who had no previous pageant experience, will compete in Miss Universe 2013 to be held in Moscow, Russia on November 9th. The 1st runner-up is Tegan Martin (right) who was 1st runner-up in 2011. The 2nd runner-up is Marsi Fernandez (left). The 3rd runner-up is Kristy Coulcher. And the 4th runner-up is Mary Vitinaros who was 1st runner-up in 2012.